Why no new projects for a few days, especially over a weekend? This weekend I spent concentrating on one of my favorite charities! 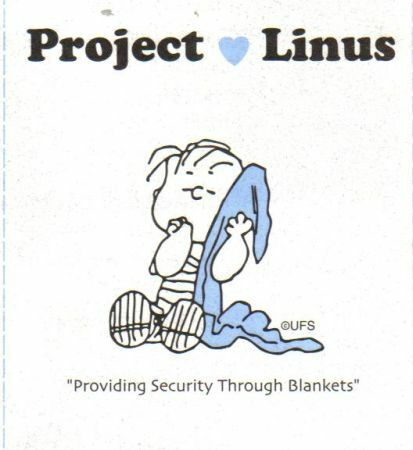 I attended my third Project Linus Make-a-Blanket-Day. Throughout the year, I always have quilts and afghans in progress to drop off at the donation site here in town. But once a year there is a HUGE get-together where we all bring our sewing machines, crochet hooks and TONS of yarn and fabric. It's really inspiring and rejuvenating to see all of these wonderful people working toward the same goal. 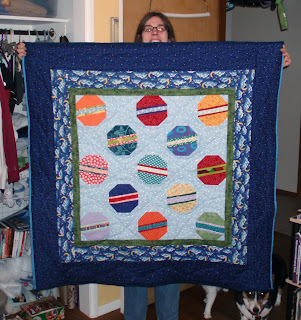 I started this quilt two weeks ago and finished it up right before the deadline to have it entered in the competition that is always held at Make-a-Blanket-Day. I think that's a record for me! 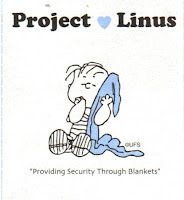 I didn't win anything but that doesn't matter, the quilt was fun to make and they all get donated to Project Linus so it was just an excuse to get another quilt done before the big day! What charities do you craft for? Are you interested in seeing more of my quilts and blankets on here?